Small grants from the farmer-driven Northern New York Agricultural Development Program support research, education and technical assistance to help Northern NY’s dairy farms be more efficient, sustainable, profitable, and good natural resource stewards. 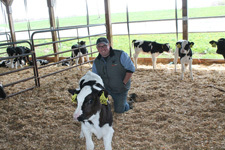 Click here for information on NNYADP dairy research . . .